TISLOG logistics and transport software provides powerful and flexible solutions for mobile order management, capable of exactly what you need for the individual work processes of your business. Due to the high degree of scalability TISLOG allows for an extremely flexible design of all mobile processes. 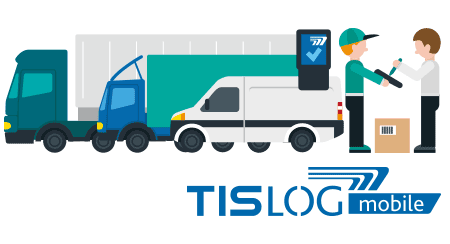 With TISLOG logistics software you can rely on complete and comfortable goods surveillance over the entire supply chain at any time, as well as convenient and secure data exchange between the driver and your head office. TISLOG - What's in it? The TISLOG telematics system reliably meets all technical requirements - regardless of operating system and hardware requirements. Just use the mobile devices of your choice - our TISLOG logistics software always fits like a glove. 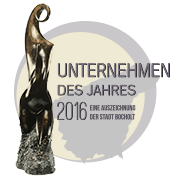 The result: Efficient processes on the road, in warehouse turnover and in the office. Thanks to a consistent service-oriented architecture TISLOG easily adjusts even to highly individual special requirements: With our logistics software provides you have a telematics system that is able to intelligently link and accurately depict complex structures and networks. 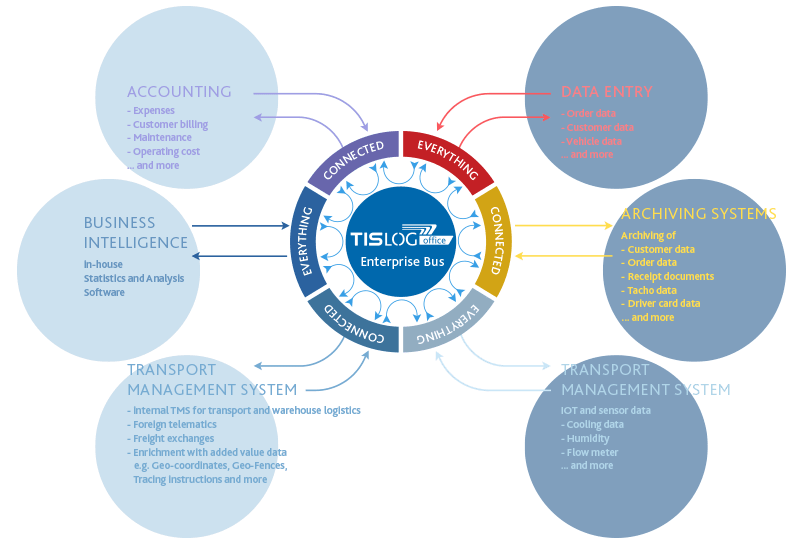 More than 50,000 of configuration options make TISLOG an extremely powerful solution for your mobile data collection, your fleet management and your order management. Thanks to an intuitive user interface, you do not need a manual for TISLOG logistics software - just let your drivers get started! Our telematics system is completely customized to your desired processes and on request works with your usual terminology. This ensures that your mobile workers can find their way at any time. Where necessary, the employee is guided through the required steps by the software. TISLOG mobile offers powerful and flexible logistics software for mobile order management, capable of exactly what you need for the individual work processes of your business. TISLOG mobile offers sustained continuous monitoring of goods movements throughout the supply chain and always ensures comfortable, secure data exchange between drivers and your headquarters. 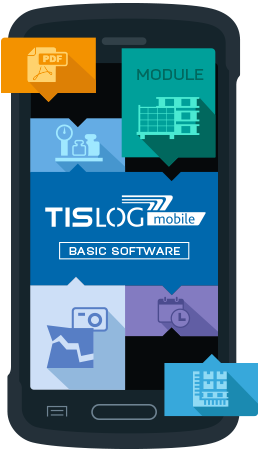 Learn more about TISLOG mobile for your mobile order management. TISLOG intra reliably supports you with control and optimization of your material and product flows in warehousing. Whether handling facility or warehouse - with our TISLOG intralogistics software, you always have access to all the features you need for fast-flowing, flawless work processes in logistics. 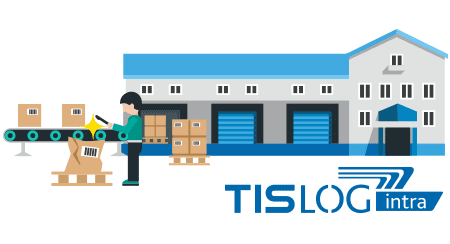 Find out more about TISLOG intra, the software solution for warehousing and warehouse turnover. 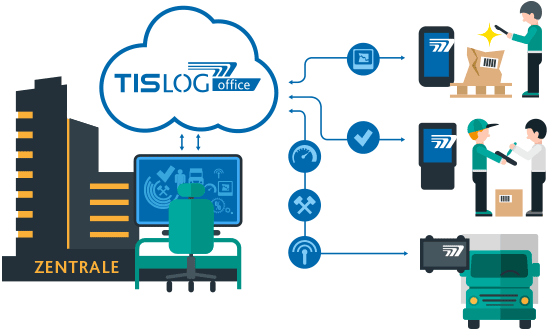 With TISLOG office you monitor, control and manage all mobile devices, processes and flows of goods from the comfort of your office. TISLOG office guarantees efficient fleet management, seamless transport management and fast communication with your drivers. At the same time TISLOG office supports effective inventory management. Because with our logistics software you have all the necessary tools at your fingertips to manage and optimize your material and goods flows in the supply chain and warehouse. TISLOG telematics provides reliable, automated transfer of your GPS, speedometer and FMI data. Location, driving time data of the driver for dispatchers, driving style analysis, data for expense reports and for minimum wage and evaluations as well as speedometer remote download are just some of the telematics functions in the vehicle that TISLOG telematics holds available for you. 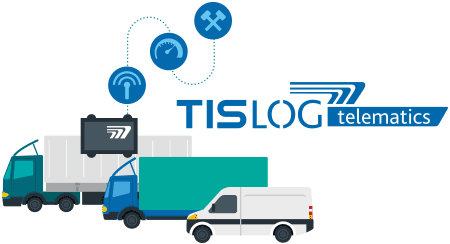 Find out more about TISLOG telematics, the telematics system for your truck fleet. From process analysis, through concept design to implementation and ongoing Service & Support - upon request the TIS experts assist you 24 hours a day, 7 days a week. In addition, in the scope of service contracts, we offer complete technical support. We also manage your software and hardware - with an optional care-free package that includes repair services to make sure your drivers have working handhelds available at any time. Thanks to numerous add-on modules, our logistics and transport software flexibly adapts to every need, relieving mobile workers in everyday logistics and helping them to work more effectively - whether in the CEP industry, general cargo or freight traffic, intra-company transportation, in disposal or warehouses and cargo handling facilities. The intelligent, flexible telematics software for all Android-based mobile computers and diverse customer requirements. The browser-based, lean telematics software for handhelds with HTML5 browsers without storage of data on the handheld terminal. The reliable and flexible telematics software for industry-standard Windows Embedded Handheld 6.5 computers. With TISLOG mobile for the road and TISLOG intra for warehousing, you have the right software at hand for every application in logistics - whether for courier services (CEP), general cargo or freight traffic, intra-company transportation, in disposal or warehouses and cargo handling facilities. If needed, both solutions can even be used combined on one single handheld terminal. The TIS GmbH in Bocholt is a market leader for advanced telematics projects. TIS stands for Technical Information Systems (Technische Informationssysteme). For 30 years now, the company develops intelligent telematics solutions for forwarding, transportation and logistics companies, as well as retail chains. The latest generation of products are the platform-independent software solutions under the brand name TISLOG. Do you have questions about our logistics software or other products? 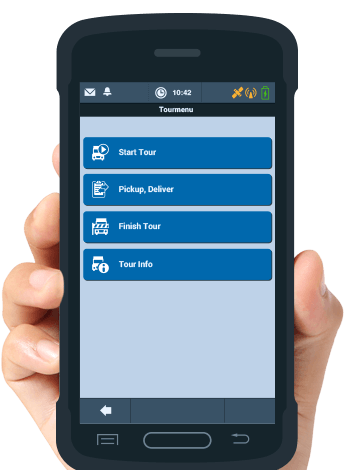 With TISWARE we offer exquisite and powerful hardware and software components for mobile data collection, from rugged handhelds, over tablets and mobile scanners to terminal emulations that help you benefit from the full potential of your TISLOG telematics system. In addition to the powerful handhelds and tablets from leading manufacturers, we offer clever hardware accessories, exclusively developed by our experts at TIS GmbH for you. TISPLUS hardware accessories provide for even more ease of use. For every product our specialists seek inspiration in the field. Design, construction and production of our TISPLUS products take place 100% in Germany. Starting with process analysis, over concept design all the way to implementation and long-term care, we also assist beyond our software and hardware - if needed 24 hours a day, 7 days a week. We like working with TIS because the devices recommended by TIS meet our high standards of quality and robustness. The driver software TISLOG mobile Enterprise impresses with its simple operating concept. We enjoy working with TIS because TIS is a quality-conscious partner who concentrates the added value of our solutions optimally and thus generates satisfied customers, which also benefits the PTV. We opted for PSV3 because TIS always strive for staying up-to-date with their system and at the time of the evaluation the product came with the best value for money. We also already had very good experience with TIS and their predecessor "Psion" (the scanner with laser pen). Everything the employees of TIS integrate into the hardware works out very well - no rough edges. We enjoy working with TIS, because TIS is a reliable project partner who quickly implements professional solutions tailored to our growing needs. To us the TIS is a competent service provider, who convinces us of his reliability and flexibility again and again even after many years of working together. The Zebra MC65 / MC67, recommended by TIS, have long proved their worth in the harsh part-load workdays of our truck drivers. Looking back, we can say that this was a good recommendation. On average we only get a device back in the IT department once every 4 weeks, to clarify any problems. In addition, thanks to an integrated camera, it is possible to quickly make photos of the shipments. These are then automatically linked to the shipment information in our forwarding program. Our sales colleagues Fabian Bielefeld, Oliver Krahmer, Mike Ahlmann (Team Leader), Peter Hochwald and Daniel Schlütter will be happy to advise you.